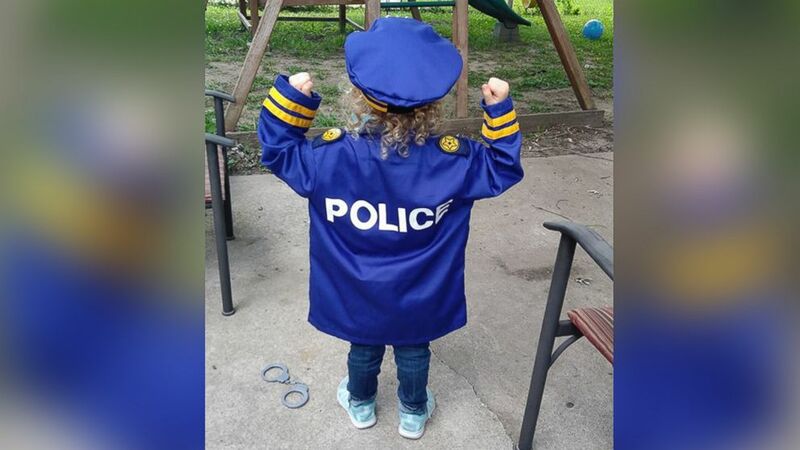 Hannah Pasley, 3, has been obsessed with police her whole life. 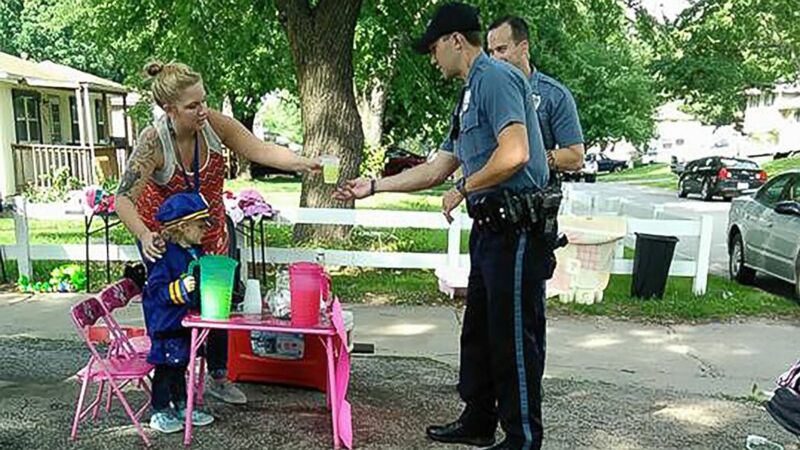 A Missouri girl was surprised Saturday by dozens of police officers who came to a lemonade stand she set up outside her home to raise money to buy a police officer costume. The girl, Hannah Pasley, 3, has been obsessed with police officers for as long as her parents, Amber and Josh Pasley, can remember. Hannah, whose favorite show is the animated “Paw Patrol,” told her parents last Friday that she wanted to have her own lemonade stand at the family's garage sale. “She said, ‘Mommy and daddy, I would like a lemonade stand because I would like my own money to get me a police uniform,’” Pasley recalled. By mid-day Saturday, Hannah had raised the $40 she needed the costume. Her aunt drove her to a local Toys "R" Us store to purchase one. (Sierra Moore) Hannah Pasley, 3, was visited by dozens of police officers at a lemonade stand in front of her Kansas City, Missouri, home. When Hannah returned to the family’s home dressed in her police costume, her mom, aunt and a family friend mused that it would “make Hannah’s day” if a real-life police officer stopped by her lemonade stand. The family friend, Sierra Moore, took to Facebook to post the request. Within the hour, police officers began stopping by the Pasley family’s home. “We had had K-9 units, mounted patrol, deputies, a helicopter patrol and officers who came from different jurisdictions just to meet my Hannah,” said Pasley, who estimated that nearly 50 officers stopped by on Saturday. The police officers also insisted on contributing to Hannah’s lemonade fund, even though the family told them it was not necessary. The police officers kept coming until around 8 p.m. Saturday night, according to Pasley. Hannah has not stopped talking about her surprise visitors since. Pasley said she and her family are forever grateful to the officers who took time out of their day to make Hannah’s dream come true.